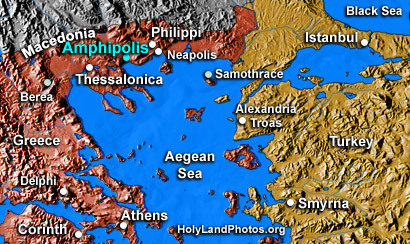 Amphipolis was a large city that served as the capital of the first district of Macedonia. Paul passed through it on his second (Acts 17:1) and (by implication) on his third missionary journeys. We will add images of the site in the future. Meanwhile, we have posted an image of the recently excavated tumulus and the most famous monument of the area — the "Lion Monument."